Canadian legend Art Hindle plays Carl, a thief, who steals a laser called a mongoose from The Firm in the first episode up for review this week! Annie Oakley was written by Carleton Eastlake, Rick Kelbaugh, and Harold Stone with an original airdate of 16 November, 1985. String (Jan-Michael Vincent) is planning a quick getaway (to Hawaii) with an attractive stewardess (Tia Carrere), but Archangel (Alex Cord) arrives with an assignment for he, Dom (Ernest Borgnine) and Caitlin (Jean Bruce Scott). It seems one of the thieves feels he’s getting a raw deal from Carl, and is willing to turn over his location as well as that of the laser for a million dollars. But they have to meet at the Stuntmen Auditions, that are being held in a very recognizable western town set. It is here that we meet Annie (Tricia O’Neil), the lady who runs the show, a single mom, and Carl’s ex. When their contact turns up dead, it’s decided the trio should stay on site, and see if they can rustle up a lead. 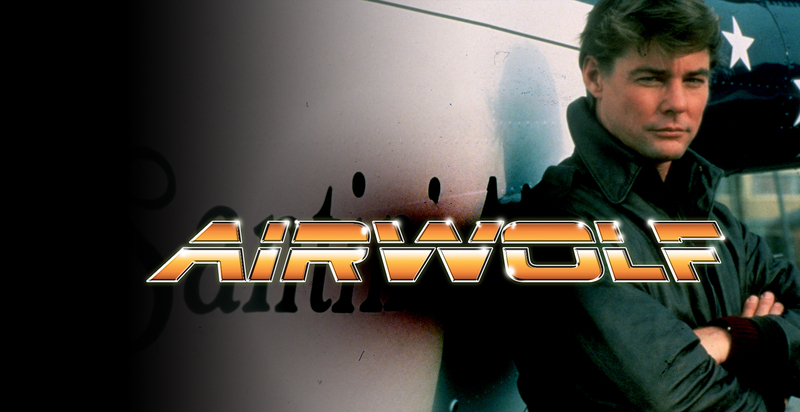 Consequently, there are a lot of fun stunts, to be seen, not much story, until Carl shows up and plans to use the show as cover to move the laser out of the country and shop it to buyers… but he’ll have to deal with Airwolf, and String on a dirt bike, first! What follows is a fun chase sequence with Carl taking pot shots with the lasers at our heroes, and some nice chase shots! Jennie is up next. This episode was penned by Katharyn Powers and aired 23 November, 1985. String, Dom and Caitlin are in Central America to help recover a scientist, Jonas Keith (Allan Miller) from the compound of a dictator intent on seizing power. He’s designed a series of unmanned and nigh unstoppable tanks to help him rule and dominate the country. With crossbow (!) in hand, Hawke rescues Keith, but on their way out, they are pursued by enemy forces. Things get worse when they stumble across a group of deaf child refugees, and their teacher, Jennie (Lenore Kasdorf). While Dom and Caitlin wait, impatiently, undercover, for the return of String, Hawke bonds with the children, and they all struggle to survive the trials of the jungle, both the wildlife, and the armed pursuit, while Keith frets fearfully. 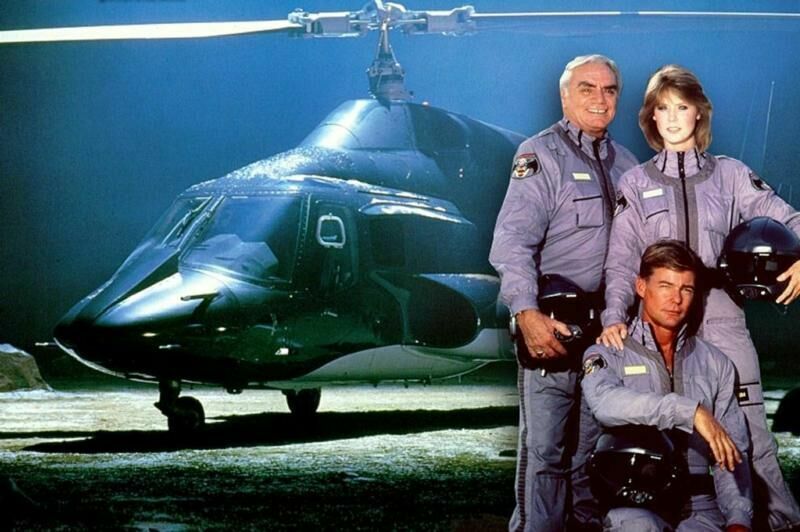 This one is a bit of a loose story, and I think the kids are there to cater to the younger viewers, so that they can pretend that they too can go on an adventure with Airwolf, and our heroes. There’s a missed opportunity to play up a romance angle with Caitlin, but hey, that may have detracted from the action. I do however, quite enjoy the moments that she shares with Dom, there’s a real sense of friendship there. More next time as we close in on the end of our time with the supercopter… and then it’ll be time to head back to Hawaii with Magnum!